After reading your lead letter from a reader regarding the current situation of councillors coming out of hibernation to collect our votes (Gazette, March 29), I would like to add the following. During the last political term in Whitby, what have the present incumbent councillors achieved? Do you think they have created a better place to live in with better facilities for the residents who vote? What investment have they made on our behalf and on behalf of future generations? • Helredale playing fields built on - we were supposed to have a replacement 3G pitch to replace the loss of this amenity, where is it? • Leisure centre privatised (new sports village and pool built in Scarborough). • Parking - do you know someone who has received a parking ticket after the introduction of new parking restrictions to support the closed park and ride? Has parking improved in Whitby or is it getting worse? 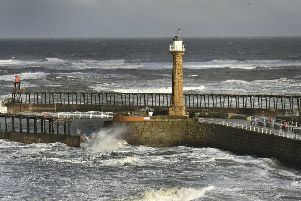 What are the council doing to attract more investment into Whitby? After all, in Scarborough they have lent £9m to a private water park, demolished a theatre at a cost of over £4m to build the east coast’s biggest private roller coaster, while still running an open air theatre which can only operate in the summer months (at a loss), redeveloped Scarborough indoor market, failed to develop and maintain Whitby open air market. The council’s policy of building near 1,000 homes on greenfield sites in the town should lead to an increase in the population. Are we to get better schools, more doctors and a hospital to support the town plus all the other infrastructure? These are all questions you should ask any candidate of whatever political persuasion, but then we must hold these people to account and ensure they deliver.